Last year, the vice president of the largest Porsche dealership in the US, Champion Porsche, was accused of stealing $2.5 million from customers. Shiraaz Sookralli and his wife Vimla Sookralli reportedly set up a shell company that had a similar name as Champion Porsche, which took fake deliveries for rare models like the 911 GT3 RS and GT2 RS. These cars were never delivered to customers, with the pair of crooks taking off with their money instead. 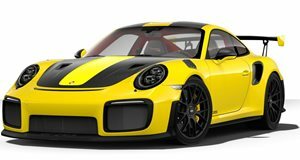 Champion Porsche has since compensated the victims of the scam and Sookralli has now been arrested on fraud charges by a US District Court in Florida. US Attorney Ariana Fajardo Orshan of the Southern District of Florida announced the arrest earlier this week along with Broward County Sheriff Gregory Tony but no details were provided on how or where Sookralli was arrested. The 44-year-old former salesman has been charged with mail fraud, wire fraud, conspiracy to commit mail and wire fraud, and money laundering and has already made his initial appearance in court before a later pretrial detention hearing. According to the criminal complaint, Sookralli opened up a bank account to deposit fake sales orders for unauthorized Porsche sales. Most of the vehicles in question were rare GT 911 models, which can often appreciate in value immediately after being delivered and can be difficult to acquire at MSRP. We can see why customers were quick to trust Sookralli to get them these cars at a reasonable price but the deal turned out to be too good to be true. Sookralli took orders in the form of wire transfers, bank checks, and even cash, which made it easy to deposit into his own account. He later used the money taken from customers to purchase cars, jewelry, and expensive meals.